Several people asked if it is true that Krispy Kreme is coming to Chapel Hill. Absolutely. This article in The Daily Tar Heel announced the arrival of a store at 157 East Franklin between Bandido’s Mexican Café and B-Ski’s in late August. This is serious business. I do not joke about Krispy Kreme. It will not be a typical store that includes the entire classic doughnut-making theater. Instead, the doughnuts will be partially made at another location (probably the one on Person Street in Raleigh) and then shipped to Chapel Hill. I was slightly concerned that they would not be served hot, but it sounds like the doughnuts will finish cooking in Chapel Hill and then they will go through the iconic glaze waterfall here. No word on whether the new store will carry the classic paper hats, but how could they not? 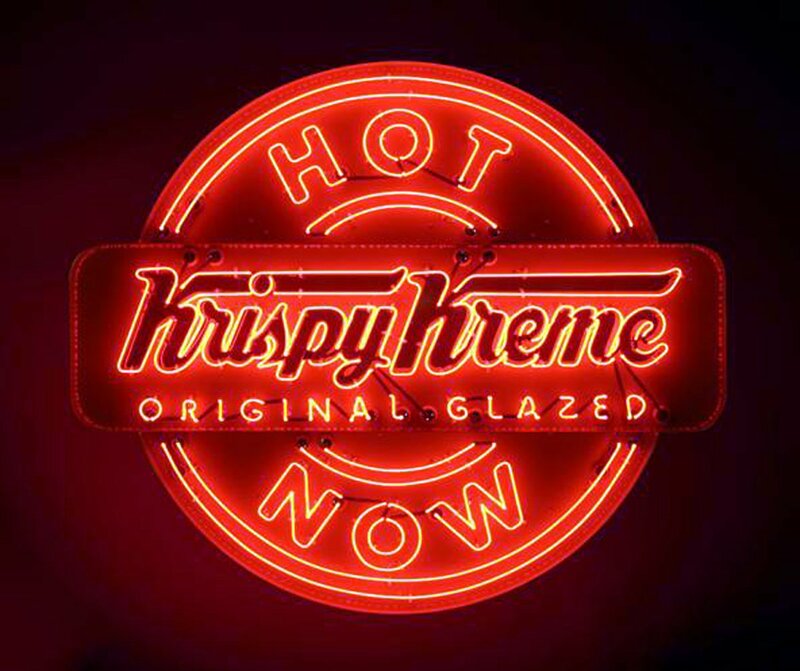 I’m assuming that the store will display “Hot Doughnuts Now,” the iconic Krispy Kreme sign that signals the availability of hot glazed doughnuts. 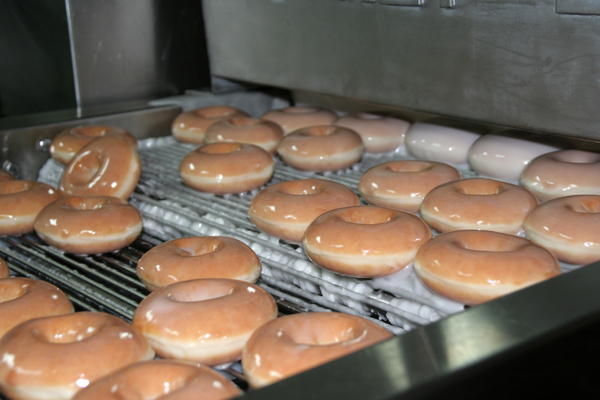 One can get cold Krispy Kremes at Harris Teeter and convenience stores, but hot glazed doughnuts are the real deal. The absence of a Krispy Kreme has been a large cultural gap for Chapel Hill. That is about to be remedied. The hot glazed doughnuts are heaven, but there is no such thing as a bad Krispy Kreme. The chocolate-iced, cream-filled doughnut is a work of art. NC State has the annual doughnut run for charity. We need to start working on our own tradition for Carolina. I can’t wait. Annual Retreat: What’s It All About? My idea of heaven includes an endless supply hot supply of hot glazed, which through some Divine mystery do not make you fat. My favorite are the kreme filled . . they actually make you LOOSE weight. As for replicating NCSU’s doughnut run for charity, I’d recommend developing a less messy tradition – the placement of 50 gallon garbage cans at regular intervals along the route for runners who have to vomit up their recently devoured doughnuts is rather disgusting . . .